This 18 story high Geodesic Sphere cannot fail to impress visitors to Epcot. 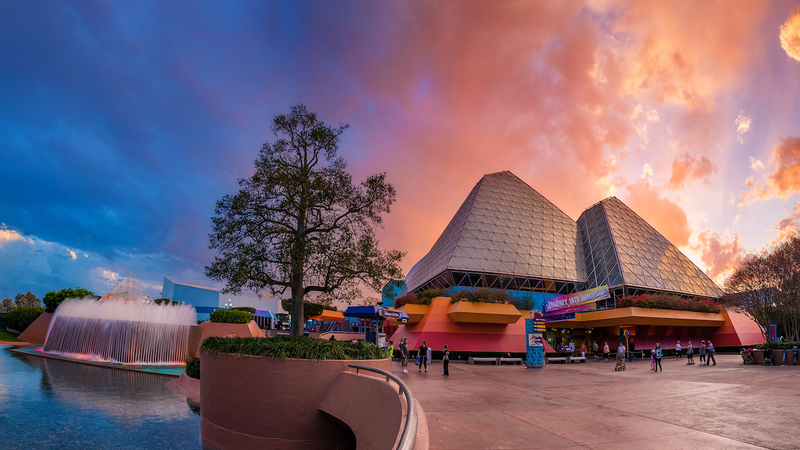 It is the signature attraction that everyone thinks of when they think of EPCOT. Inside this great sphere is housed a slow-paced dark ride that transports guests through the history of communication, from the Phoenicians through the modern era and beyond. This ride is suitable for everyone. What it lacks in excitement is made up for through an interesting story and relaxing pace. You could be forgiven for closing your eyes and catching your breath on this 15 minute ride while listening to the softly spoken narration by Judi Dench.